While several different types of corn snake exist, the only one that's simply called a corn snake is Pantherophis guttatus guttatus, a subspecies of the red corn snake. These snakes have a large range across the United States and northern Mexico, where they live in a range of habitats, including deciduous forests, fields, rocky or mountainous regions, and even in suburban areas. 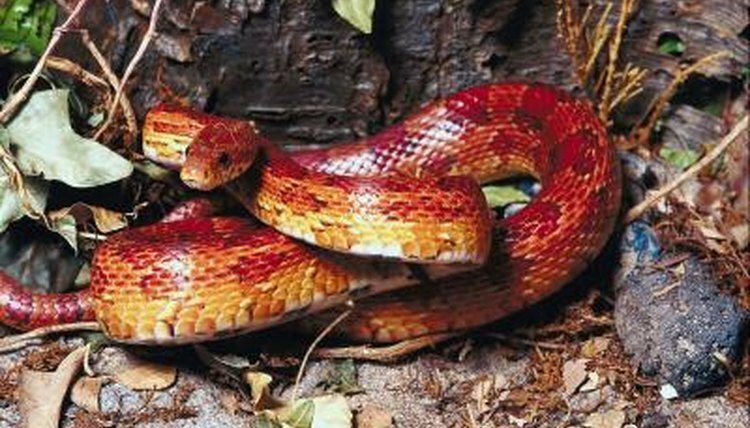 Corn snakes can range in length from 2 1/2 to 5 feet. Males tend to be on the larger end of the spectrum, while females are shorter. When they first hatch out, they tend to measure between 8 and 14 inches. It takes around two years for these snakes to get to their full adult length and reach sexual maturity.